When there is a baby at home, it’s really hard to cook. You chop the onions, and there he is under the table, you heat the oil and about to add the onions in the skillet and there he is eating a magazine page. The last 6 months have taught me a lot of things, but above all it has taught me to multitask. These days I try searching for food, which is wholesome and is easy to cook. 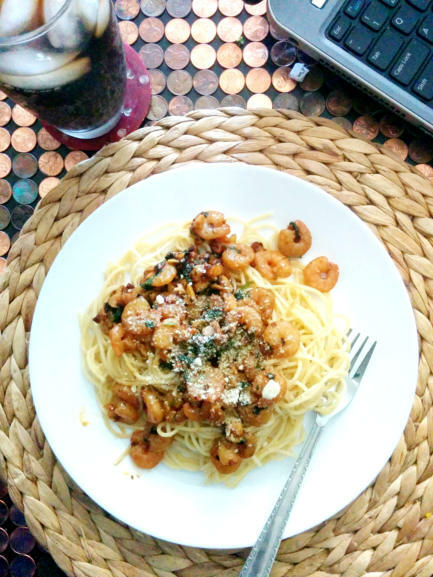 When it comes to cooking time, nothing can beat shrimps. You can cook shrimps in less than 5 minutes, you don’t believe it, try it. Whether its the Bengali favorite chingrir malaikari or Italian style shrimp scampi, shrimp is the easiest and quickest meal you can prepare. You can prepare scampi and serve it as an appetizer, or you can also serve it with rice or pasta. 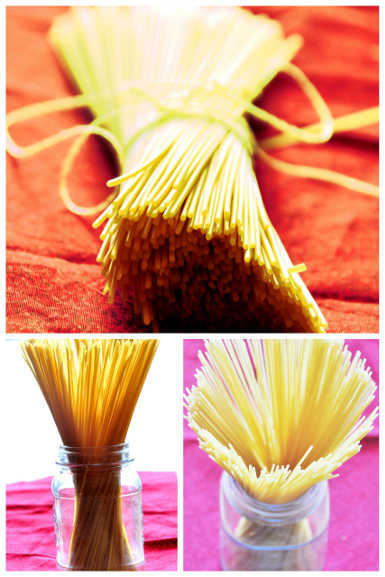 I am not a big fan of pasta, but I love angel’s hair pasta, the thin and smooth texture of the cooked pasta steals my heart every time. In a skillet add the olive oil and butter and wait till the butter is melted. Saute the chopped garlic and let it start to sizzle. Add the chili flakes and shrimp. Season with salt. Chop the parsley leaves and add it to the shrimp, give it a good toss and then pour the wine. Let the shrimps simmer in a the wine sauce for 2-3 minutes. You can use cilantro leaves instead of the parsley and if you don't like to add the wine then substitute it with chicken or vegetable stock/broth.